The War Memorial in St Mary's churchyard commemorates men from the parish who died in the First and Second World Wars. 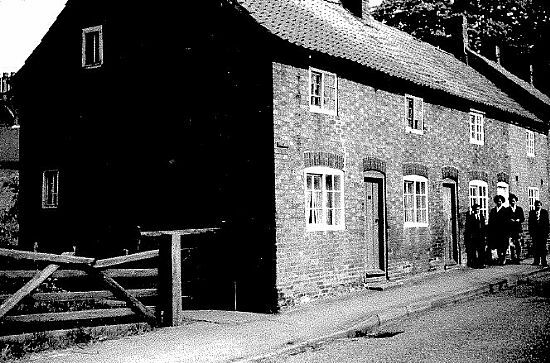 Normanton on the Wolds has seen changes over the years, and the following pictures show the village in the 1940s. 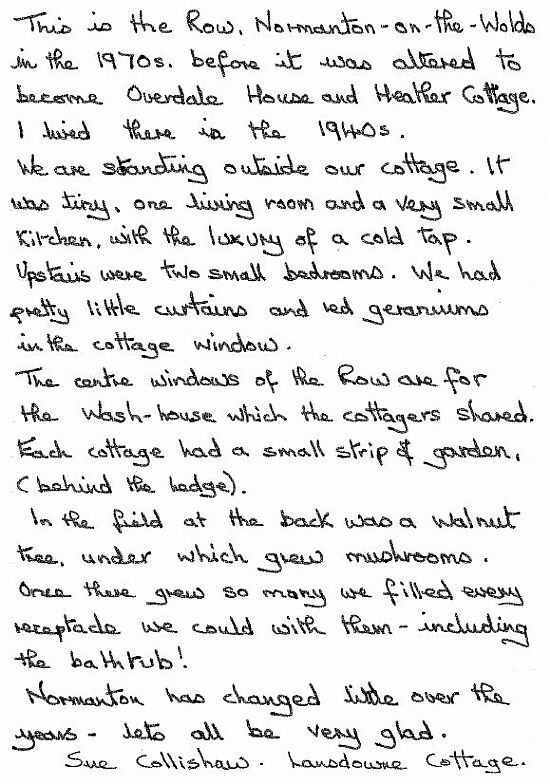 Accompanying the pictures is a letter penned by a local resident who was living in one house in this block of small cottages in which she outlines the conditions they had then. Both the properties mentioned (Overdale House and Heather Cottage) are included in the Photos of Normanton gallery and show how they look today. The present Heather Cottage and Overdale House on the Old Melton Road were originally six semi-detached cottages in a row owned by William Elliott Burnside. By the 1950s one of the two centre cottages had been pulled down and the space turned into a communal laundry. In 1958 the four cottages and the sweet shop to the north known as Harker’s Yard came up for sale. A Mr Blanchard purchased Harker’s Yard, a large field and the row of now five cottages. 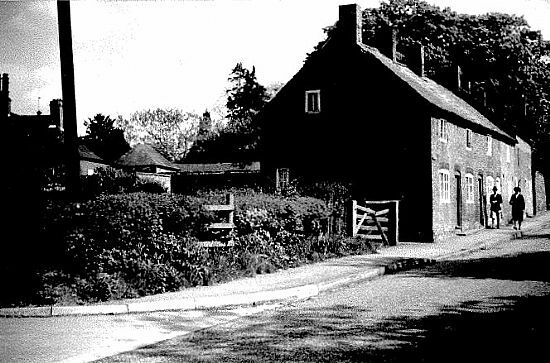 Harker’s Yard cottages and shop were demolished and five new houses were built in this area extending onto the field, but part of the planning permission required that the group of five cottages should also be demolished. This was not in fact carried through. The cottages underwent partial reconstruction and modernisation and Heather Cottage and Overdale House were created from the group of two and three remaining cottages. The modern bungalow "Nicholas" now stands on the site of Harker’s Yard. 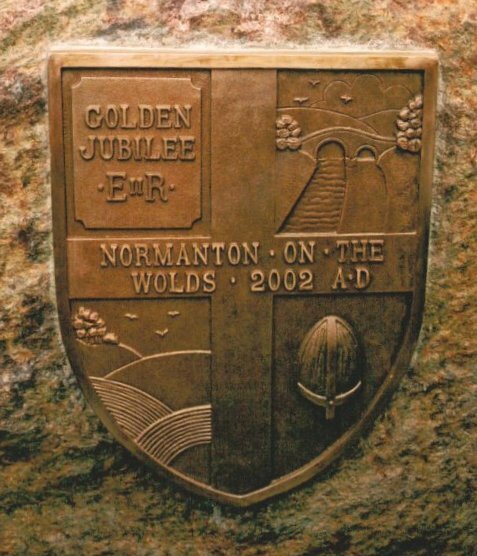 In 2002 an impressive ceremony was organised by the parish council at Normanton on the Wolds to mark the Golden Jubilee of the reign of Queen Elizabeth II. The Mayor of Rushcliffe, Coun. 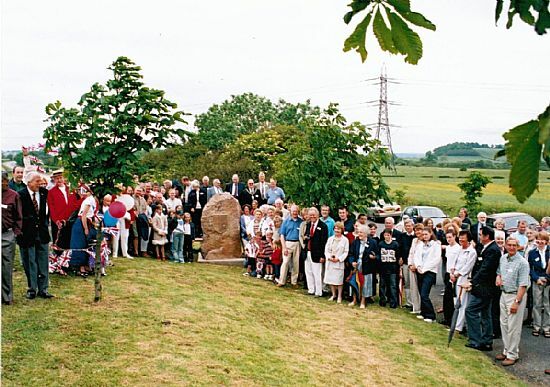 Eddie Fearon attended the event to Dedicate the Jubilee Stone sited at the Melton end of the village, just past The Plough. Parish council chairman Paul Knight presided and around 150 people attended the Dedication ceremony. Every child in the village was given a porcelain mug to mark the Jubilee. The picture (left) shows the unveiling attended by a large number of residents. After the dedication of the stone by Coun. Eddie Fearon, Mayor of Rushcliffe, a reception was held at Normanton Grange by kind invitation of Chris and Julia Butterfield followed by a village party being staged later in the garden of the Plough public house with live music, barbecue, games and stalls. The plaques on the memorial stones at either end of the village were designed by Reg Jefferies.